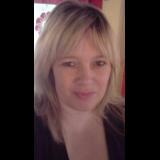 I am an experienced freelance writer specialising in the creative writing and health markets. I am Editor of the Creative Competitor - a writers competition and resource site and I have two blogs dedicated to the freelancing lifestyle and fiction. Filled with stimulating writing projects guaranteed to beat writers block and increase creativity and technical ability. As a freelance writer and teacher of creative writing classes, Quick and Easy Creative Writing Projects was born, to help those writers free their mind, boost inspiration and write intuitively with the supplied writing projects.